There are steps that you can take, which can affect your safety on-line either on Facebook or on any other platform. However, I would be focusing on Facebook today and I’ll be talking about how to secure your Facebook account and make it water-tight security-wise. 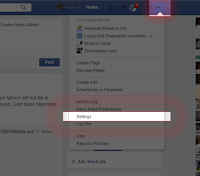 If somehow your Facebook account gets compromised, these steps would also make retrieving your account very easy. It’s better for you to put the following measures in place to secure your account and help you retrieve it easily in case your account was hijacked from you. 1. 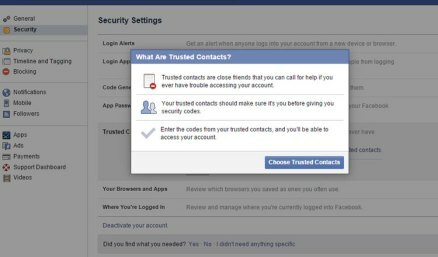 Set-up Trusted Contacts: Facebook refers to “Trusted Contacts” as those on your friends list that you can call to help you regain access to your Facebook account. Whether you lost access to your account due to an hacking incident or because you forgot your password, Trusted Contacts can save you. You can set up a minimum of 3 contacts and a maximum of 5 contacts. If you were to lose access to your account, Facebook can send a code to any one of them, which you can then retrieve from them and enter on Facebook to regain access to your account. Open Setting >> Go to Security Settings Sub-menu and click Trusted Contacts >> Click Choose Trusted Contacts >>Friends you can trust >> Save it. 2. Make sure you have at least 2 email addresses attached to your account: To help safeguard your account, you can add more than one email address to your account. Once you do that you would be able to log in to your Facebook account using any of those email addresses. Furthermore, if you were to lose access to your account for any reason, you would be able to use any of the email addresses to retrieve your account. Now, suppose your account got hacked and the hacker tries to delete any of your email addresses, then Facebook would require that your password be entered before this can happen, which means the person needs to have your password to perform this action successfully. Furthermore, Facebook would also send an email notification to the email that was removed from your account if the removal was successful. A link that you can click to reverse the email removal after passing some security checks is also included in the mail. Click Email under the General Sub-menu >> Click add another email or mobile number >> Enter the email or Click Add your phone number >> Enter the code sent to your email address or phone number to confirm >> Click Confirm/Ok. 3. Add your phone number to your account: When you attach a phone number to your account, you would be able to log in to your Facebook account by using either your email address or phone number. You can also be notified via text message if anyone logs in to your account from a device or browser that you have never used to access Facebook before. So, if someone were to hack your account and successfully log in to your account from their own device, you would be notified via a text message if you have enabled “Login Alerts”. 4. Use a strong password and change it periodically: Try to learn how you can form strong passwords that you can easily remember. You should also endeavor to change your password after a period of time. 5. 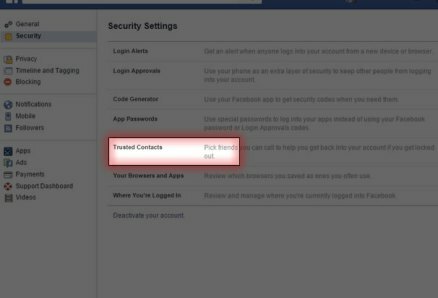 Keep an eye on “Where you’re logged in”: This is a Facebook security features that shows you all your active sessions. It displays the last time your account was accessed from that session, the geographical location and the device type. You should always check this list and remove sessions that you are not sure of. You can even remove all the sessions from time to time and then log in again from your device(s). That way you’ll be sure that you are in charge of all the active sessions accessing your account. Click where you are logged in under the Security Sub-Menu of the Settings menu >> Click End Activity to end any session. 6. Enable “Login Approval” Feature: When a login attempt into your Facebook account is attempted from an unknown browser (a browser that you have never used to access your Facebook account before), this feature would ensure that a security code has to be entered before access is granted to your account. This code has to be generated from the mobile Facebook app on your phone. Click Login Approvals under the Security Sub-menu of the Settings menu >> Click the checkbox to enable login Approvals. Note: Implementing the steps described above would really keep your Facebook water-tight security-wise and make it very difficult for your account to get hacked. However, if your account were still to get hacked and you lose access to your account, these steps would help you retrieve your account easily. To get more of this straight in your inbox, please, subscribe to my post updates by simply entering your email address below. In my subsequent post, I will share with you more tricks/tips/information on Facebook, which will interest you. So, SUBSCRIBE to this blog now if you don't want to miss them, even if I post them here, when you are not online.